Are you tired of delays, inaccurate quotes, damaged goods, or high shipping costs? Do you need a trusted freight partner that that can just get all your stuff moved on time? FMi Logistics is your one-stop-shop for freight services and shipments in Calgary, across Canada, or North America. Air freight, rail shipping intermodal, and FTL & LTL freight over the road for all types of equipment. We also offer Overseas Import/Export FCL/LCL and Air Freight services. We work closely with you to streamline the shipment process and ensure a smooth transit for your shipment. Our expertise in freight logistics ensures that your shipment will get to where it needs to be. FMi Logistics Inc. is a full-service international logistics company. We offer a complete range of reliable commercial transportation services in Calgary, Alberta, Canada and International. Do you need ground freight transportation across North America, international freight forwarding overseas, freight brokering or intermodal transport? We help streamline the shipment process and ensure all transportation timelines are met. Rest assured that your product will reach the destination in one piece. Customizable options at competitive pricing. We can meet your specific transportation service needs. Do you want to transport large items that aren’t very time-sensitive, ground freight transportation? We combine simple, standardized freight solutions with a host of customizable options. Do you rely on imports and exports to earn your bread and butter? We specialize in the arrangement of storage and shipping of products for shippers. 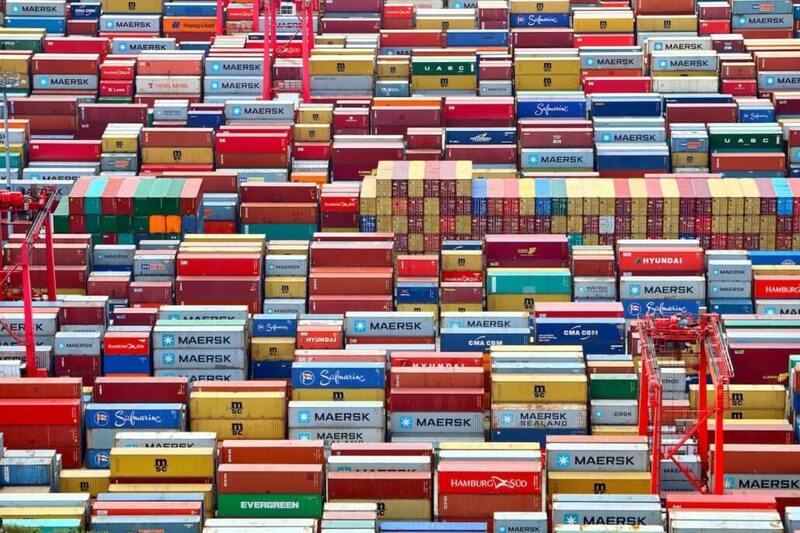 Full Container Load (FCL) or Less-than-Container Load (LCL) shipments. Do you have freight that’s ready to ship, but you need help finding a qualified carrier to haul your load? We offer freight brokering services to help you broker the right deal. Let us handle the logistics of your freight transportation services. Do you need a reliable, safe, cost effective way to ship your goods? Rail, ship or truck: Transport your freight securely in an intermodal container. Take advantage of our logistics experience. We safely transport your freight from Point A to Point B: on-time and on-budget. Get the most cost-effective shipping methods. Connect with the right carriers via rail, ship or truck. Trust us to transport your product. We are passionate about delivering measurable results. Contact a person not a robot. Act now to get an estimate.